Please check the list of FAQs below to see if your question has been addressed. If not, click here to send us a message. You will recieve an e-mail that contains more information. If you don’t see the e-mail in your inbox, please check your junk and spam folders or contact us. How do I download my CME/CE certificates? How do I use the Member Database? Note: If you’d like to remove yourself from the Member Database, go to your Member Profile and uncheck the box labelled Include me and my e-mail address in the Member Database. I am interested in posting a job to the AONN+ website. Where do I go to submit an entry? Please visit Job Postings. After your information is received and reviewed, you will receive an invoice from an AONN+ representative. Once paid, your posting will be featured on the website for 30 days for members to view. The rate for a job posting is $750 ($250 for nonprofit organizations). I am interested in submitting an abstract. Where do I go to submit it? Submitting an abstract is your opportunity to share your EVIDENCE-BASED navigation research studies, quality improvement projects, and best practices utilizing pre- and post-data elements to enhance your program with your navigation and survivorship care colleagues! The Call for Abstracts for the 10th Anniversary Annual Conference will open in Spring of 2019. All submissions will be peer-reviewed and the author(s) will be notified of acceptance for poster display and/or presentation at the 2019 Annual Conference. Submissions should include 5 sections: Background, Objectives, Methods, Results, and Conclusions. A two-year membership is $200. A 48-hour trial option is also available. How do I sign up for the 48-hour trial? How do I redeem my free year of membership? Once your conference registration is processed, you should receive a confirmation e-mail. This e-mail will contain a discount code that you can use to unlock your free year of membership. To redeem your free 1-year membership, please complete the following steps. You should then see the additional year added to your account in the Membership Plans section. The membership plan will be added to your account once your payment is successfully processed. I paid for a membership without realizing that I was going to get a year of free membership with my conference registration. Your code will add 365 days to your existing membership. Can you tell me about certification? AONN+ Certification is unique to the field of navigation. Your AONN+ Certification will provide you with specific credentials and knowledge that can help you improve patient care and further your career development. We are proud to offer 3 unique certifications: Oncology Nurse Navigator–Certified Generalist™ (ONN-CG™), Oncology Patient Navigator–Certified Generalist™ (OPN-CG™), and Oncology Nurse Navigator–Certified Generalist Thoracic™ [ONN-CG(T)™]. For more information, please visit our Certification page. Are any of the AONN+ certification exams accredited? What eligibility criteria are needed to sit for the certification exams? You must register for the certification exam to ensure that you qualify. Each certification has a set of criteria and required paperwork that you will be prompted to supply during registration. Each applicant will be evaluated by our Certification Task Force and notified if they qualify to sit for the exam. Please note that each application is evaluated on a case-by-case basis. How much does it cost to take the certification exams? Certification exam fees are $150 for members, and $300 for nonmembers. The fee must be paid at the time of application. Is the certification exam fee included in conference registration? Certification exams are separate from your conference registration fees. The fee to take any of the AONN+ Certification Exams is $150 for members and $300 for nonmembers, which must be paid at the time of applying. Unpaid applications that are submitted will not be evaluated by the Certification Task Force. If you plan on attending the conference as well, you must register and submit payment separately. What topics will be assessed on the exam? How can I study for the certification exam? My title isn’t “Navigator,” but I feel that is my role, so I would like to get certified. Am I qualified to apply to sit for the exam? All certification applications are evaluated individually on a case-by-case basis. After you submit your application, our Certification Task Force will determine if you are eligible based on the information you provide. Even if you do not have the exact criteria, it is possible that you may still qualify to sit for the exam. We recommend submitting your application regardless, and an AONN+ representative will contact you if additional information is required. When is the deadline for certification registration? All applications for certification need to be evaluated prior to testing. Please allow enough time for submission. The deadline for registering for the certification exams at the 2019 Midyear Conference is Friday, April 26, 2019 at 11:59 PM. No exceptions will be made. Additionally, although the exam tests you on aspects of your job that you likely do on a daily basis, we recommend you give yourself plenty of time to study the modules and learning guides to adequately prepare for the exam. Is attending the conference the only way I can get certified through AONN+? Currently, AONN+ certification exams are only offered at our conferences. In 2019, you can become certified at our Midyear Conference or Annual Conference. We are looking into adding more opportunities to facilitate the certification exams throughout the year. Please stay tuned for announcements by signing up for our newsletter, or connecting with us on LinkedIn, Facebook, Twitter, and Instagram. What are the 2019 conference dates and locations? The Midyear Conference will be held May 17 - 19, 2019 at the Loews Coronado Bay in Coronado, California. Our 10th Anniversary Annual Conference will be held on November 7 - 10, 2019 at the Gaylord Opryland Convention Center in Nashville, Tennessee. How do I redeem my member exclusive discount on conference registration? Can I pay for my conference registration by check? Yes, AONN+ accepts checks. Please visit our registration page here, where you can input all of your information to register. When prompted for payment, select the “Pay by Check” option. Once the check is received, you will receive a confirmation. PLEASE NOTE: Checks must be received by Friday, May 3, 2019, or a credit card payment will be required onsite. Can I have an invoice for my conference registration? Is the certification exam included in the registration fee? No. There is an additional $150 fee for certification that is seperate from your conference registration fee. You must apply and pay the exam fee seperately. Please note that discount codes do not apply to certification. The deadline to apply for the certification exam at the 2019 Midyear Conference is Friday, April 26 at 11:59 PM. We will not accept any applications after this time, no exceptions. Does my conference registration include membership? Members and nonmembers will receive a free 1-year membership to AONN+ upon registering for the conference. Please look for your confirmation email, which will contain your code for redeeming your free membership. Exhibitors, sponsors, and industry attendees are not eligible for the free 1-year membership. How do I start a Local Navigator Network? Click here to view the guidelines on launching and maintaining a successful local navigator network. How do I join an existing Local Navigator Network? Click here to find a local navigator network near you and to view the full list of existing local navigator networks. What is the difference between a nurse navigator and a patient navigator? Nurse Navigator: A clinically trained individual responsible for the identification and removal of barriers to timely and appropriate cancer treatment. They guide the patient through the cancer care continuum from diagnosis through survivorship. More specifically, the nurse navigator acts as a central point of contact for a patient and coordinates all components involved in cancer care including surgical, medical, and radiation oncologists; social workers; patient education; community support; financial and insurance assistance; and others. This person has a clinical background and is a critical member of the multidisciplinary cancer team. Patient Navigator: An individual who does not have or use clinical training to provide individualized assistance to patients and families affected by cancer to improve access to health care services. A patient navigator may work within the healthcare system at point of screening, diagnosis, treatment or survivorship or across the cancer care spectrum or outside the health care system at a community-based organization or as a freelance patient navigator. The patient navigator, unlike a “lay” navigator, is a paid professional and serves as a broker between the patient and the health care system. The patient navigator is a primary point of contact for the patient and works with other members of the care team to coordinate care for the patient. This critical person on the multidisciplinary team provides an important perspective on the logistical, structural, and social needs of the patient, as well as cultural considerations, patient values and care preferences. In general, a patient navigator provides assistance with identifying challenges to cancer care, identifying potential solutions with patients and families, identifying financial assistance to address patient needs, helping patients identify priority questions about their care, helping patients use time effectively with clinical providers and working with social work and nurse navigator colleagues to provide psychosocial and community support. A social worker or nurse may perform the role of a patient navigator, but, in this instance, they should discuss their scope of practice with their supervisor to ensure they perform duties within their hired role as opposed to within their clinical training. Is Academy of Oncology Nurse & Patient Navigators (AONN+) membership only for Nurse Navigators? 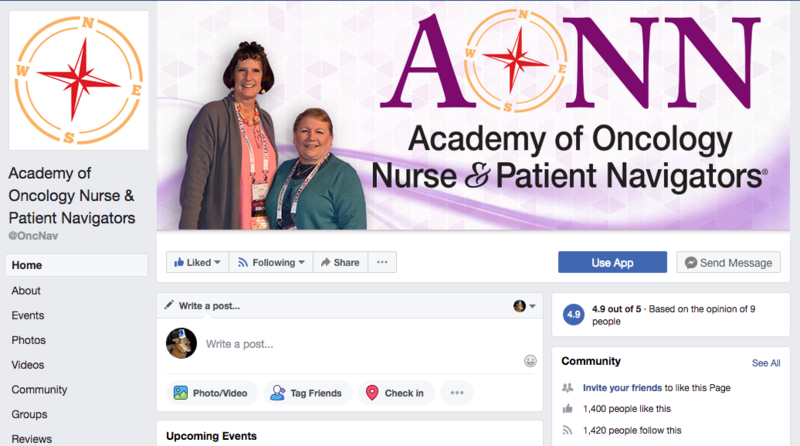 No, AONN+ membership is open to all those who are involved in patient navigation and survivorship, including nurses, social workers, nonclicnical navigators, case managers, administrators, physicians, researchers, and others. Why are there so many organizations focusing on navigation, and how is the Academy of Oncology Nurse & Patient Navigators (AONN+) different? The resources provided by these organizations vary greatly and can be very valuable depending on your needs. The ways in which AONN+ differs can be summarized in 3 key points. AONN+ was founded and is led by a group of experts in this relatively new profession. Their goal and the goal of the organization is first and foremost to strive to support the navigator community to improve patient care. AONN+ is dedicated to evidence-based practice and guidelines for all navigators, whether they be nurses, social workers, or lay professionals. To this end, AONN+ is committed to furthering the profession through collaborative research and produces the only peer-reviewed journal on navigation and survivorship, the Journal of Oncology Navigation & Survivorship®. AONN+ has established a foundation for the purpose of accrediting continuing education activities for the navigator community. This is unlike any other organization listed, since the academy's sole focus is the navigator community, including nurses, social workers, nonclinical professionals, administrators, and others. How do I connect with AONN+ on social media? Type “AONN+” into the search box on the top left-hand side. AONN+’s profile will pop up. Click on the button to follow AONN+. If you would like to share a post with your Facebook friends, click on the button, and your message will be posted to your social media page. 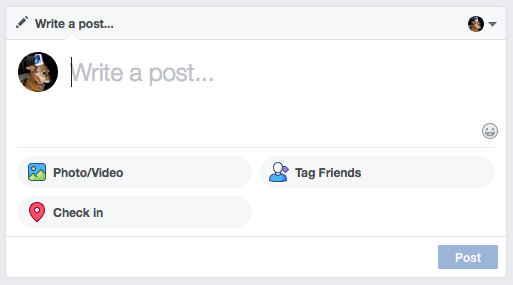 You can also click on the button to show that you like a post, or the button to leave a comment or start a conversation about the post. Click Join Group, and wait for approval to start posting and engaging with member posts! Type “AONN+” into the search box on the top right-hand side. AONN+’s profile will pop up. If you would like to share a post with your Twitter followers, click on the icon. This will bring up the message you are retweeting (sharing). Once it comes up, you can choose to write a personalized message or simply click on the button to share it with your followers. Click on the button to connect with AONN+. If you would like to share a LinkedIn post, click on the button, and it will instantly post the message to your social media page. 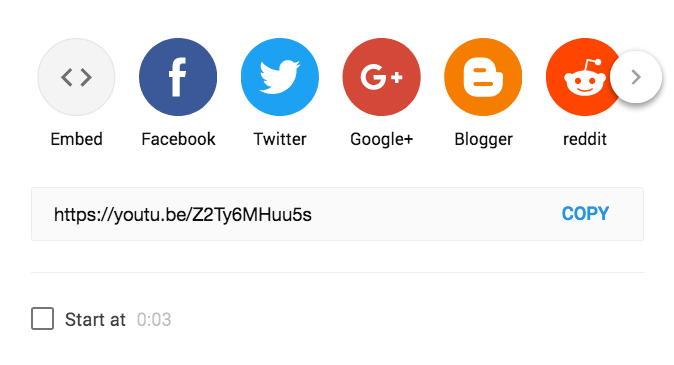 How do I connect with CONQUER on social media? Click on the button to follow CONQUER. Type “CONQUER the patient voice” into the search box on the top left-hand side. The CONQUER Company Page will appear. Click on the button to connect with CONQUER. Type “CONQUER the patient voice” into the search box on the top of the page. The CONQUER profile will appear. .